Several posts back I shared about finding the not a mystery anymore building. After a little research I discovered this building has an interesting history and put a post on Doorway Into the Past. WordPress won’t let me insert the link, so here it is to cut and paste! 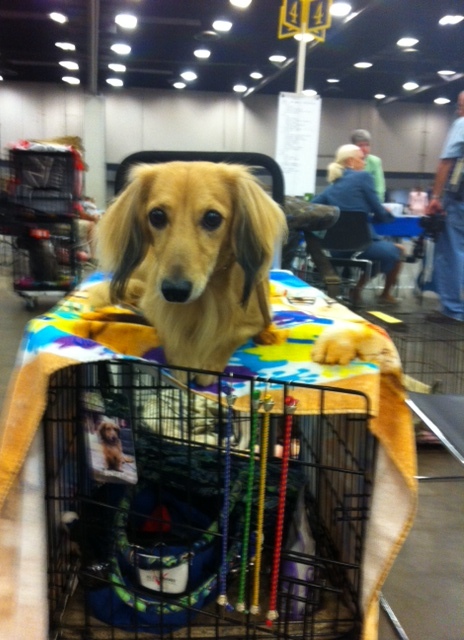 Bentley and I have been enjoying a few days in Jackson MS at the wonderful dog show they host each September. Or rather I should say that I have ben enjoying this time as Bentley would just as soon be home sleeping on the sofa! I had planned several outings, but other than one cemetery chasing excursion the time just hasn’t permitted any exploring. Plus it has either rained or threatened to rain every day and exploring isn’t permitted in the rain! There was absolutely no identification on the building other than the number 21 on the side indicating that it is a part of the Fair Grounds complex. What could this be? It looked like a church, but it had an eagle and an emblem with stars above the door, like a Federal building. Some windows intact others not. Door boarded up. No corner stone. No identification. Around the building we go (this is where Bentley meets the horse), but still no clues except the folding seating. Perhaps this building is being used for storage? Let’s go look through those holes in the door and see. Creepy, but I had to go. Yes, it is being used for storage and it does appear to be a very big room with plenty of light from the windows. Along the far wall I could see what appeared to be the remaining framework of arena type seating. Around the back and a quick peak at the other side showed no cornerstone or identification, just more of the same and more stadium seats. My mind is whirling and I’m remembering all the things I’ve read about old buildings being torn down on the Fair Ground property and the ongoing preservation, but still can’t figure this one out. But I love a mystery building and this one will suffice to fulfil my exploration needs! So, what is it? I’ll tell you, but you’ll have to read all about it on Doorway Into the Past when I get it aly l sorted out. So for now, all I’ll tell you is that…it is the old Hinds County Armory! 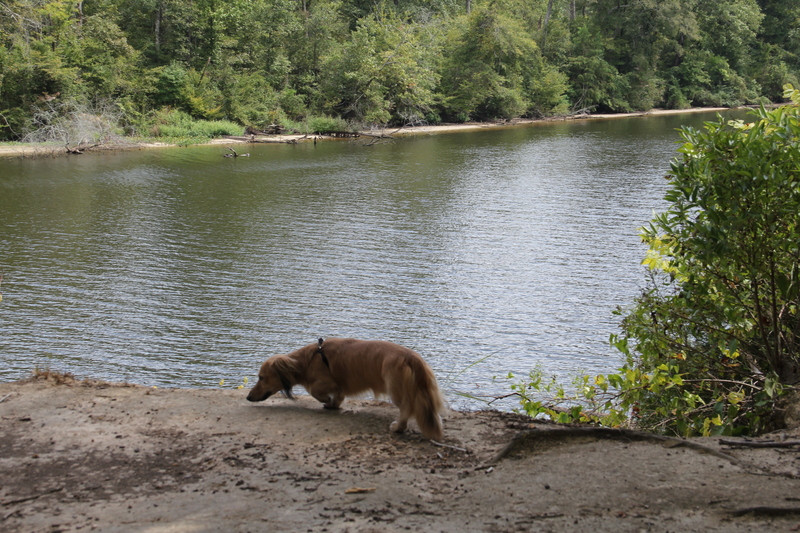 After we finished with a dog show in Victoria, Texas a few weeks ago Bentley and I headed out to do some exploring. I honestly think he knows the word “explore” because after we got in the car to leave the show I looked at him and said, “let’s go exploring” he perked up and looked at me with a “let’s go” look! He loves to explore and will follow along with me very happily, plus he doesn’t mind stopping to look at something. So what did we find? Many things worth sharing here! Go to Doorway Into the Past to read about Patti Welder Middle School. What do the Goddess of Liberty and Lady Justice have in common other than they each overlook their respective kingdoms? Well, they share many common things with one exception. Let me introduce you to these two lovely ladies. The Goddess of Liberty sits high atop the Texas State Capitol surveying the busy city of Austin while inside the Capitol every 2 years the legislature oversees the government of the state. Designed by architect Elijah E. Myers in 1881 and placed on the Capitol dome in 1888 the Goddess was constructed of zinc, cast in 4 parts, hoisted to the dome and assembled with large screws, and took her place standing tall at her height of 16 feet. The Goddess received a coat of white paint in 1915 and then several years later was given black hair, pink skin and a blue robe by an unidentified painter. In 1939, fortunately she was restored to her all white color scheme and has remained as such ever since. Lady Justice sits atop the pediment of the Navarro County Courthouse and surveys the city of Corsicana. She was probably put in place when the Courthouse was constructed in 1905 and remained there until 1941 when County Commissioners agreed that she needed to be painted and restored. She was removed, but never heard from again. Her whereabouts remain unknown even today despite much searching. The Goddess had a little happier experience, thus the difference in the stories of the two statues. In 1983 it was determined that time and the elements had taken their toll on her, so in 1985 she was removed by a Texas National Guard helicopter and lowered onto the lawn for a while until she was whisked away for some much needed attention. However, she would not be returning to the top of the dome. After restoration she is now on display in the Bullock State History Museum near the Capitol. She is however, somewhat disjointed as her hand and star were not restored and are displayed at the Capitol Museum. Interestingly, it was discovered in 1994 that the star was actually a time capsule! But poor Lady Justice! Residents of Navarro County felt that something was missing without the Lady gracing the pediment. When the current Courthouse restoration began the Lady was included in the plans. Heather and Little worked along with the Texas Historical Commission and ARCHITEXAS to carefully replicate the Lady. They relied on old photographs and similar statues to produce the copper statue that was reinstalled in June 2015. click here to visit Heather & Little’s web site, scroll down to watch the video of the re-installation and see close up photographs. Today both replicas grace their respective buildings, stern faced with their solemn task. When I recently visited both sites I had no idea of the interesting stories behind the statues so I didn’t bother to make specific pictures. On future visits I will definitely be zooming in! Click here to go to Doorway Into the Past to read about the 1905 Navarro County Courthouse in Corsicana, Texas. Stay tuned for an interesting story about the Lady of Justice that adorns the front of the building! After a week of wandering around, looking at this and that, impulsively travelling here and there, and immensely enjoying myself I have returned home. 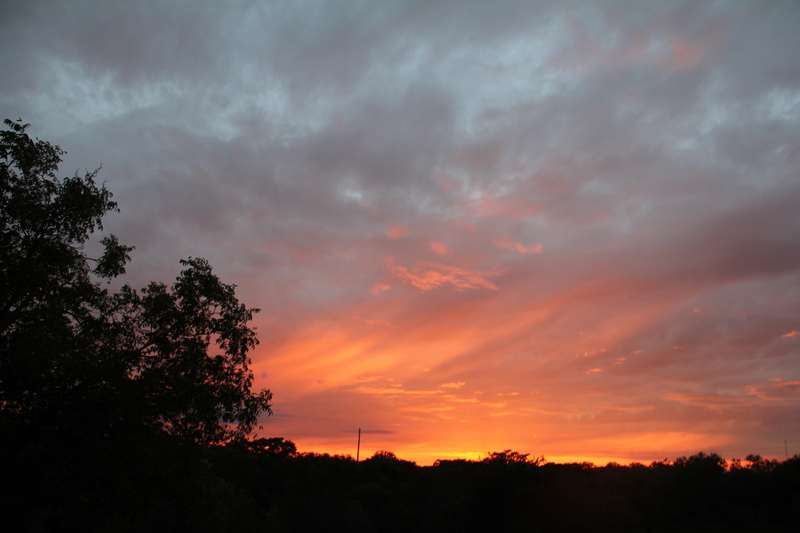 It has been a good week, and truthfully, I would like for it to have continued. I had good intentions of doing daily reports like I usually do when I travel, but this time in keeping with the spirit of freedom I did not return to the hotel room each night with thoughts of writing. Later, I told myself. My first stop was in Corsicana, Texas. I’ve travelled through Corsicana for many years and always thought it would be a good place to stop and explore. This was the trip to do so. I found a delightful little town that is trying to revitalize itself. It is less that 60 miles from Dallas and I had the thought that it could be what Fredericksburg is to San Antonio if they market themselves right. When I pulled into town it was about an hour before dark and knowing the light was ideal for pictures I started on a fast tour (not knowing that the camera wasn’t really focusing as I mentioned before). The twin onion domes of this church had called out to me every time I went through Corsicana; I had to know what it was. I was surprised to find that it is a Jewish temple. The first Jewish settlers came to Corsicana with the railroad in 1871. The congregation of Temple Beth-El was formed in 1898 by a group of Reformed Jews; in 1900 they built this temple. From what I quickly found they now only have services once a month, performed by a travelling Rabbi. Such a different, unique building! The First Baptist Church, First Methodist Church, and St. John’s Episcopal also captured my attention. But it was the Navarro County Courthouse I wanted to see in the evening light; it is under renovation, much to my delight! This Beaux Arts Classical Revival style building was completed in 1905. The renovations were scheduled to be completed in January, but it appears that they are still working on completely restoring the interior to its original appearance. (More to come on Doorway Into the Past). I have to wonder what is inside this top floor – I just love these details! Somethings just never change, thankfully. The simple pleasures that delighted our grandparents and those even before them still delight us today. On a recent visit to the Texas State Capitol I discovered that one of the plaques on the grounds shared that a small lake had once existed in that spot. “In December 1906, the Austin Daily Statesman described the Capitol grounds as, “…a favorite resort, for young and old, at all seasons, and during the summer months are the scene of nightly concerts that attract the music lovers of the city.” A small lake occupied the large depression that still exists west of here, at one time supplied by an underground spring in the area. The lake was difficult to maintain and produced hordes of mosquitos. As then State Gardener J.A. Lott explained, “…it was not built right and every rain filled it with mud and trash…the pool in fair weather was unsightly with an accumulation of trash,” so the lake was drained by 1926.” Copied from the plaque on the west side of the Capitol, facing Colorado Street. 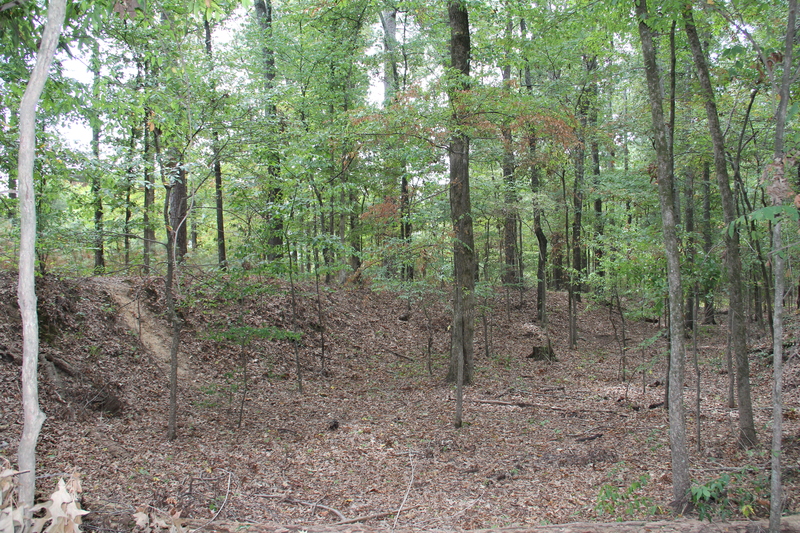 The depression where the lake was located is hard to see today, but it is there. And, amazingly there are still groups of people picnicking on the Capitol grounds, enjoying themselves even today. What is it about a picnic in a beautiful spot? That has to be one of the simple little things of life! Our day started early at the dog show. I was still in the hallway outside when the welcoming announcements were made and everyone was asked to observe a moment of silence in honor of the heroes of the 9/11 attacks. While the National Anthem played I rubbed Bentley’s ears and silently gave thanks to God that I am an American and that America is still a great country because of the good, productive citizens. Let’s keep the flag waving folks! Bentley was the only dog in his class and there was only one other male dog, so we won our class and took reserve to the other dog. 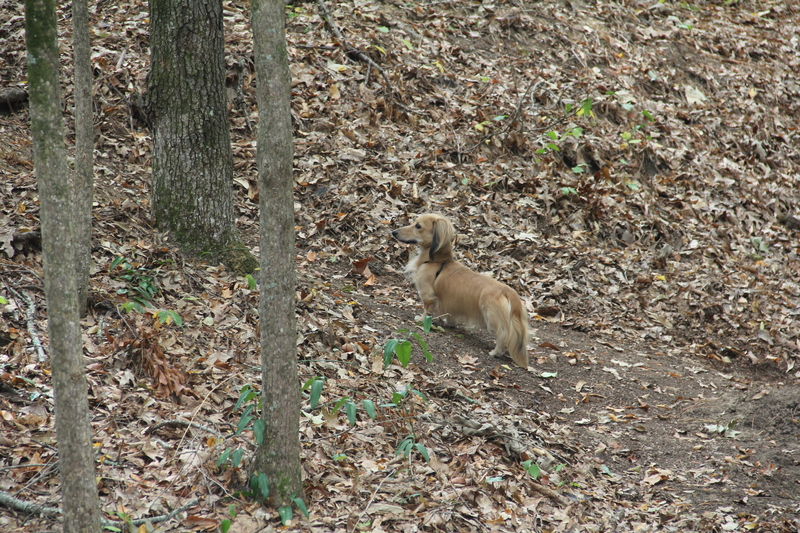 I’m not sure why the breed counts for long haired dachshunds are so low this year; usually this is a big dachshund show. But we visited around and enjoyed our morning. I am always pleasantly surprised to remember that people in the deep South are extra friendly (sorry Texas, they got you beat in the friendly competition). I had several people walk up to me, introduce themselves and chat like we were old friends. One lady even thanked me for coming and supporting the show! This afternoon was our free afternoon. 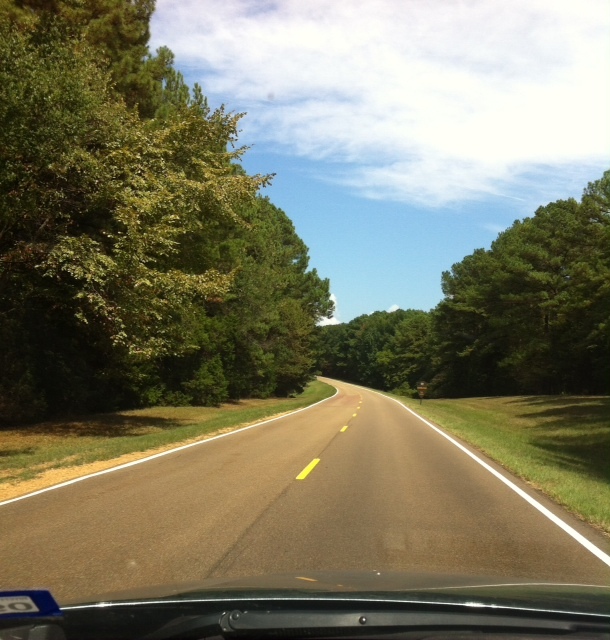 After much debating and no plan whatsoever, we headed out to the Natchez Trace Parkway. We did a fast food drive thru (Remember my post about not leaving home without an ice chest? Well, guess what I left without on this trip? So, now I’m eating fast food pretty much all the time because I can’t take a dog in the restaurants). 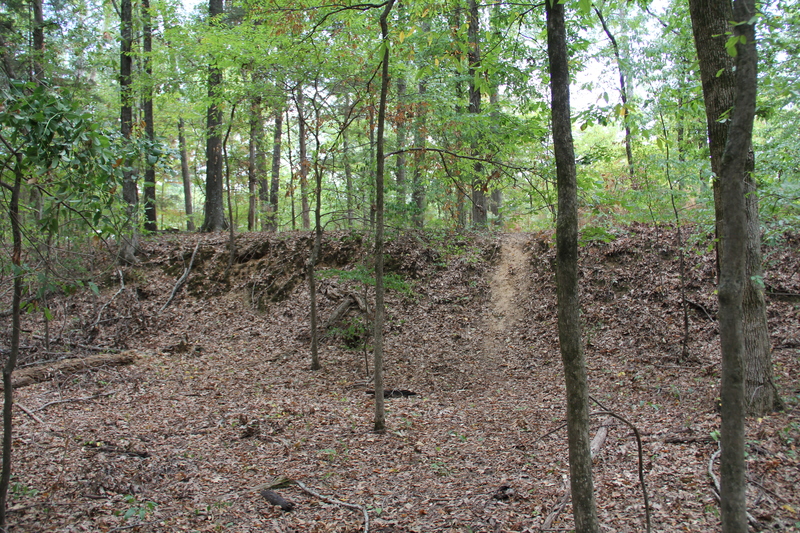 Our first stop was at a site where you can see part of the Old Natchez Trace. I ate and then we began to explore. I’m sure that in a few weeks this will all be ablaze with fall colors. Today we were the only ones here, so I unclipped Bentley’s leash and let him go. 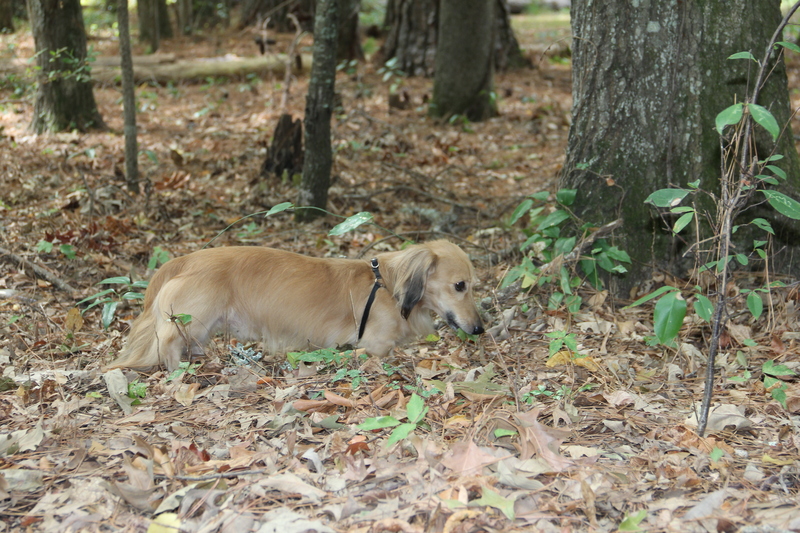 He needed some time to just be a little dog with his nose to the ground enjoying the smells. He blends in real well with the leaves, doesn’t he? He was moving all the time, so I had to be ready to catch him when he would stop briefly! 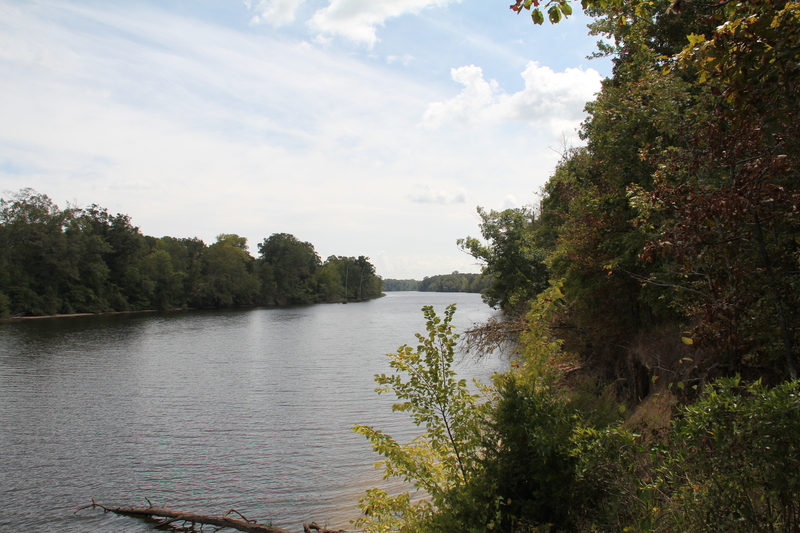 We continued on around the Ross Barnett Reservoir and then up the Trace to a stop by the Pearl River. The area where we were was deserted, so I was able to unleash Bentley again. The afternoon was lovely, not too hot with a soft breeze. We sat here for a while just absorbing where we were. I kept thinking of all the places I wanted to go and things we could do, but was content to let them be for another day on another trip. Solitude was all we needed. Finally we left and continued up the Trace. The Trace is two lanes (50 mph) and you can only turn around at either a cross road or one of the historic sites. I chose one of the sites to turn around and head back to Jackson. As I pulled up to read the marker a dog came walking up from the shade of the little circle drive. There was no one around and I suspect that it isn’t a very well visited site. She was clearly looking for someone to rescue her. She was hungry looking, but not starving, and started to walk up to the car. It broke my heart, but I had to turn around and leave her. I had no crate and even if I did Bentley would have been ballistic. I had no food and only a little water in a bottle, no bowl. All I could do was pray for an angel to help her. I drove back to Jackson thinking what could I do and decided to make some phone calls when I got back to the hotel. I called the NTP information line, but while the lady was polite she didn’t offer to do anything other than notify the dispatch department. She asked me how I knew the dog was abandoned (ha ha lady). So I looked up several rescue organizations in Jackson and called one. I spoke with a nice man who asked many questions and was writing everything down. He said he wasn’t sure what he could do, but would try. I felt helpless and frustrated because I’m not part of the community and didn’t know who to call. All I can say is – shame on anyone for not loving their animal and just dumping them out! Bentley was worn out and even slept in the car. When we got back to the hotel while I was contacting people about the misfortunate dog he crawled under the writing table and passed out. Poor little puppy! He’s now curled up in my lap sleeping while I write. How he curled up that long body enough to sleep here I don’t know! We went out tonight looking for a nearby barbecue place whose web site proclaimed they had a drive thru. Turned out the place was closed, not sure why, so we drove around downtown for a bit before facing another fast food meal. Jackson’s downtown intrigues me in a sad way. But I’ve written enough for now. That will wait for another post.